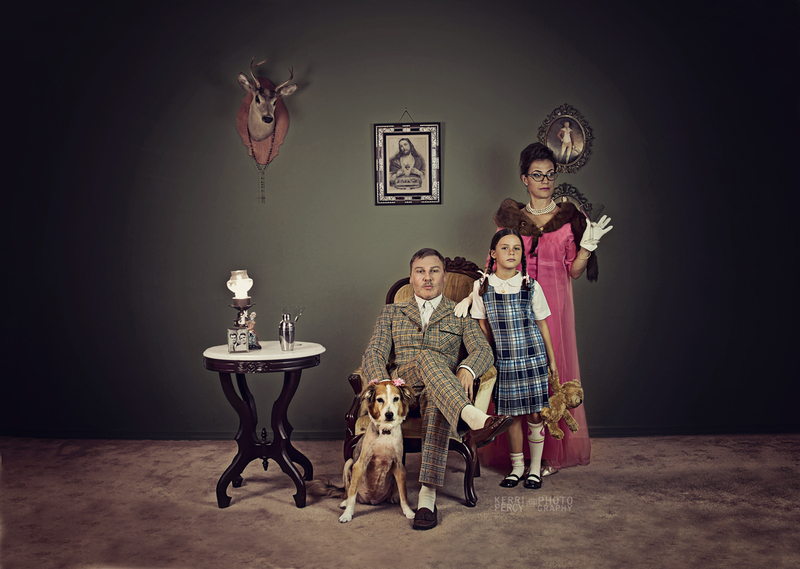 I was thrilled when I talked to a fellow artist about creating an unusual photo session. 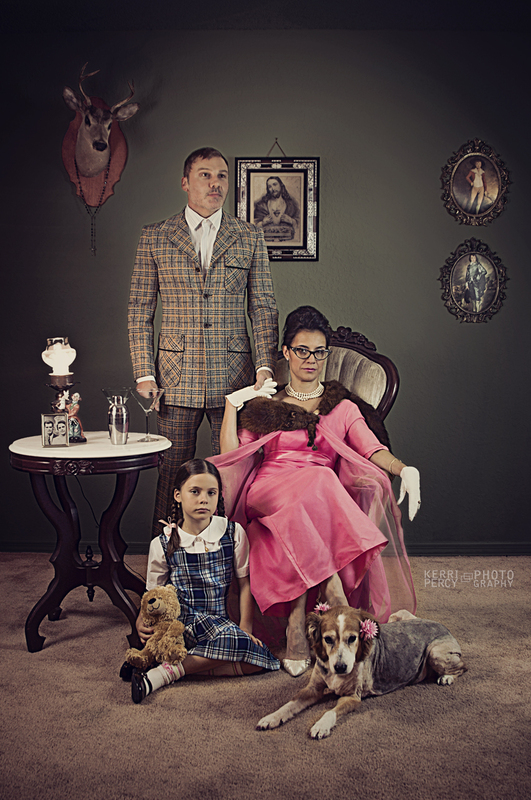 They only wanted one photo, inspired by the book “Mother,” The Royal Tenenbaums, and Awkward Family Photos. We talked about props and outfits, staging and furniture. They arranged to purchase about 95% of what they didn’t already have. This is my element, telling a story through one simple image. But I couldn’t just take one photo. I only took about 30 photos, though, and the setup took longer than the session did. I am completely ecstatic with the results.